Hi everyone! Olive here with some good news—and a new request. 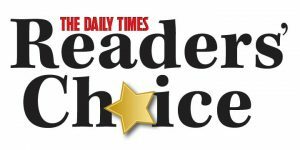 Big thanks to all of our dedicated and satisfied customers who took the time to vote in the Readers’ Choice Poll from the Daily Times last month. You really came through for us, because we’ve passed through the nomination phase! This means we’re on the ballot for people to vote for their favorite businesses in Blount County. But this also means I have to ask for a bit more. You all turned out to vote for us in the first phase, and now that we’re in Phase 2, we need your votes more than ever! From now until May 4, you can go to the website for the Daily Times and cast your online vote for Russell & Abbott as the best heating and air conditioning company. At Russell & Abbott, we want to provide the best possible service to our customers. That’s why we’re extending our great offer of $49 service plus free combustion analysis beyond its original March 31 expiration. This is a $25 savings off the regular price for service. And there really isn’t any price we could put on combustion analysis—it’s that important! Combustion analysis is the best way to ensure you have a heating system that not only operates efficiently but safely. Watch the video below for a full explanation from our own team of experts. Schedule service while the offers lasts! Russell & Abbott serves Blount, Knox and Loudon Counties and surrounding areas. Posted in Coupons & Promotions | Comments Off on Extended Offer: $49 Service + FREE Combustion Analysis! Olive, How Is a Heat Pump Getting Heat Outside in Winter? 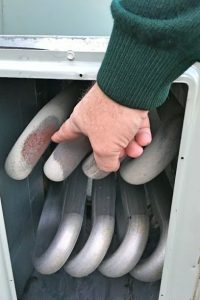 Posted in Heat Pumps | Comments Off on Olive, How Is a Heat Pump Getting Heat Outside in Winter? Olive here folks, with a super important message! Right now, Russell & Abbott Heating and Cooling is in the running for the Best Heating and Air Conditioning Company in the Reader’s Choice poll at the Daily Times. We really want to win this—because we know we really are the top choice for all the locals! The nomination phase ends on March 31, and people may nominate daily. This is important because ONLY the top five nominees will move forward to Phase 2: voting (April 7–May 4). If we don’t make the short list, it’s over! PHASE 1: Nominate a “Best” Business in the “Business & Professional Service” category. Do this daily from March 1–31. Click on the Reader’s Choice logo located at the top of the page, next to the large, red DAILY TIMES name. Select nomination choices* for “Best” in categories of your choice, and provide your name, address, and phone number. Nominate Russell & Abbott Heating and Cooling as the Best Heating and Air Company. Please ask your friends, family, and social media acquaintances to also DAILY NOMINATE Russell & Abbott Heating and Cooling as the Best Heating and Air Company. *Failure to follow the instructions will cause your vote to be disqualified. Russell & Abbott is here for all your heating and cooling needs—it’s why we’re the Best Local Heating and Cooling Company! Is a Heater With More Capacity Better? I understand why the good folks out there looking for the best heating might think a bigger heater means better heating. I often think a bigger chew toy might be more fun, but then I find out I can’t drag around a plastic bone three times larger than my head! Getting a heater that’s got more capacity than your home needs can stick you with some serious problems. I’ll go over these with you below. Posted in Heating | Comments Off on Is a Heater With More Capacity Better? A Healthy HVAC System Is Good for You! 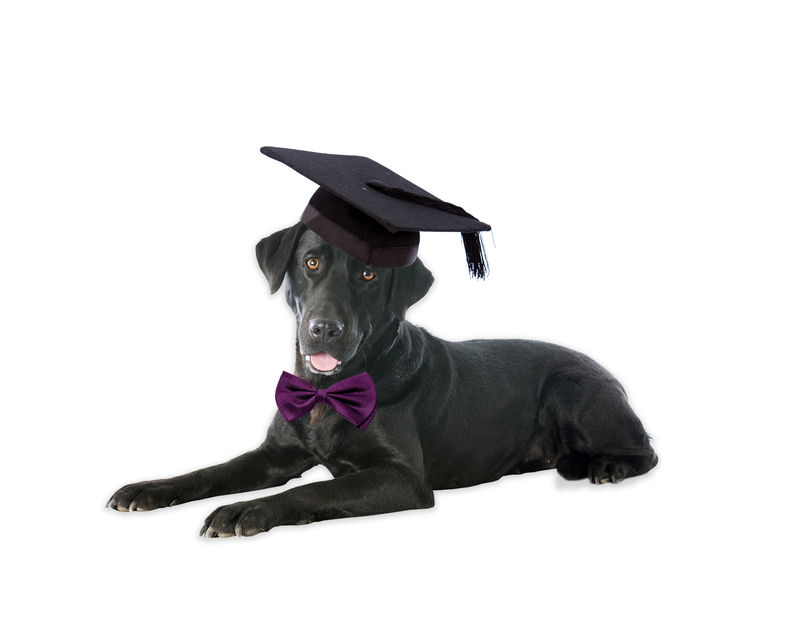 February is a busy time for doctors and veterinarians—it’s the peak season for dog flu and human flu! I know a lot about both, since a) I’m a dog, and b) hang around a lot of humans. But did you know there’s another member of your household that can also get “sick” this time of year? 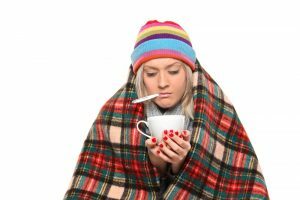 It’s your HVAC system—and I have advice on how you can keep your HVAC system healthy during this time of the year, as well as the rest of the year. 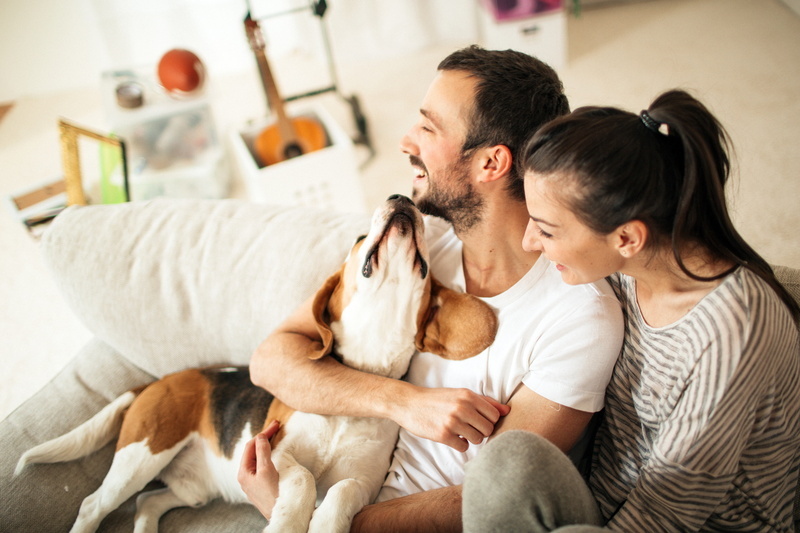 A healthy HVAC system means a healthier household overall—for pets and humans! Posted in Heating | Comments Off on A Healthy HVAC System Is Good for You! I want to tell you a Valentine’s story. This tale about relationships begins in an unexpected location—the Russell & Abbott breakroom, a rectangular concrete space with a laminate floor, shelves, a refrigerator and microwave, and a long table that will seat about twenty people. Just setting the scene—I hope it hooked you—but I digress. A few Saturdays ago, the whole Russell & Abbott team came together there for a half-day training session. Of course, I attended, not only because it’s my job as a team member and resident canine blogger, but because they always serve food at training meetings, and more often than not, I receive ear scratches and multiple bites of ham biscuits under the conference table! Team members started by contributing ideas such as “being on time” and “wearing shoe covers.” Then one team member said something profound: “Customers make the call exceptional for us, too,” he stated. “Customers give us an exceptional experience. Let’s explore that,” said company president Chris Hurley. Homeowners have served fresh, hot coffee on a frigid day or ice-cold lemonade and soft drinks during a blistering heat wave. Homeowners have made water and restroom facilities available to us. They have carried homemade cookies and soft drinks to us. Photos of us working have been taken and posted to our Facebook page with nice comments. Handwritten thank you notes have arrived in the mail. Homeowners have referred their friends and family to Russell & Abbott. On a difficult, all-day installation, one homeowner fired up the grill, cooked a hamburger lunch, and even made time to sit and visit with us while we ate. By day’s end, we were friends! 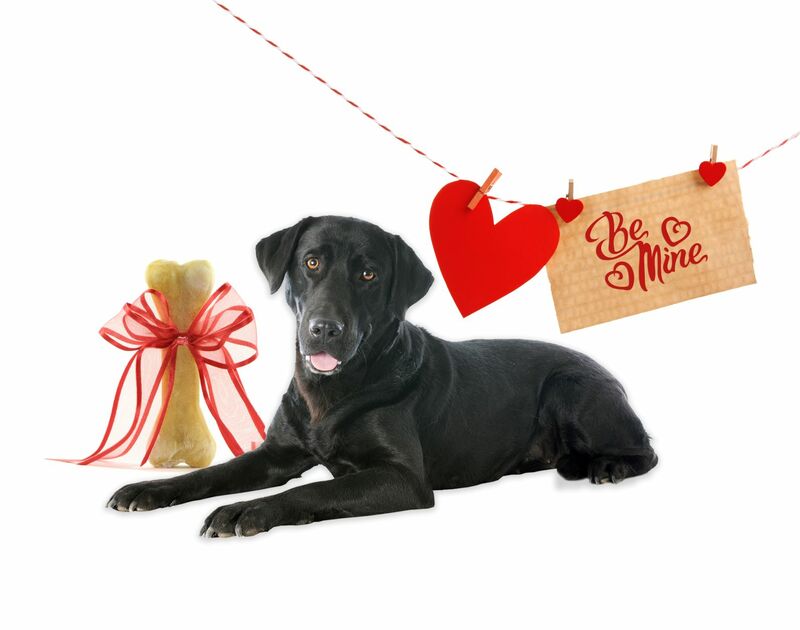 And this canine speaks for the whole team when I say, it feels like Valentine’s Day every time we get a five-star review with a specific comment about how we exceeded a customer’s expectations. I just can’t wag my tail hard enough when I read those! So, thank you! It goes without saying that we love our customers—but I’m going to say it anyway. Russell & Abbott loves our customers. And on this Valentine’s Day, it’s wonderful to know that our love is returned. Why Does My Furnace Smell Bad? February is the Official Month of the Gas Furnace! Okay, I made that up. I did discover that February 5th is National Weatherperson Day. I’m glad they get special recognition because I pay close attention to weather reports so I know when to give the best advice about taking care of your HVAC system. Anyway, the reason I’m calling this the Month of the Gas Furnace is because gas furnaces do steady work throughout February. That’s why it’s extra important to pay attention to how the furnace in your home is running. Because if you’re wondering why your furnace is giving off bad smells—then something may be wrong. It may even be something serious that requires calling for fast furnace service in Lenoir City, TN. I’ll break down what may be going on, based on the odors. I’ll try my best to get it across in human terms because my sensitive nose gets a lot more data! Posted in Heating | Comments Off on Why Does My Furnace Smell Bad? I love sniffing out great deals, and I know a great deal when I come across it—such as when the premium dog food that gives me a shiny coat is going with a “Buy 2 Get One Free” offer! You can bet I’ll take advantage of that so that I not only save money, but I’m also getting the healthiest possible dog food. That’s what a true deal is—you save money and get value. And I have news about one of the best “Savings + Value” deals around: It’s Russell & Abbott’s New Year Special. You’ll get a $49 service call with free combustion analysis. This offer was going to expire at the end of January, but the benefits are just so great that we’re pushing it even farther into 2019! The expiration of our offer has been pushed back from January 31 to February 28. The Cracked Heater Exchanger in the Furnace: It MUST Be Fixed! 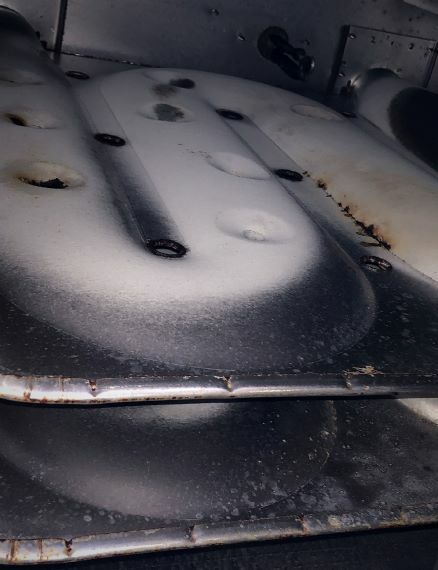 An example of corrosion creating pinhole leaks in the heat exchanger. Hi folks. I’d love to have some fun advice for you today, but I really have to talk to you about a serious issue: cracked heat exchangers in furnaces. Your safety is important to everyone here at Russell & Abbott, and if you have a gas furnace, it’s important you know what can happen when there are cracks on the heat exchanger, and why you’ll need to call us right away to have the problem fixed. 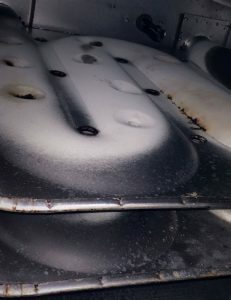 Posted in Heating | Comments Off on The Cracked Heater Exchanger in the Furnace: It MUST Be Fixed!